“How did it all begin?” When it comes to the Switchboard story, this is one of the most frequently asked questions we receive. In 2008, our founder, Jana Ogg, was working for a missions organization, coordinating and leading short-term mission groups, domestic and abroad. After two years of this, she was convicted that God wanted her engagement with missions to be long-term instead of short. Through lots of prayer and wise counsel (read: hours-long conversations with family, friends, mentors and co-workers), she started seeking alternatives to the short-term project mission work she had been doing. While on a trip to Nicaragua, Jana met and worked alongside Nicole (Odom) Eaton who shared a similar heart. Together they dreamed and prayed about founding Switchboard. And in February 2011, Jana’s employer saw her vision and equipped her to create Switchboard. 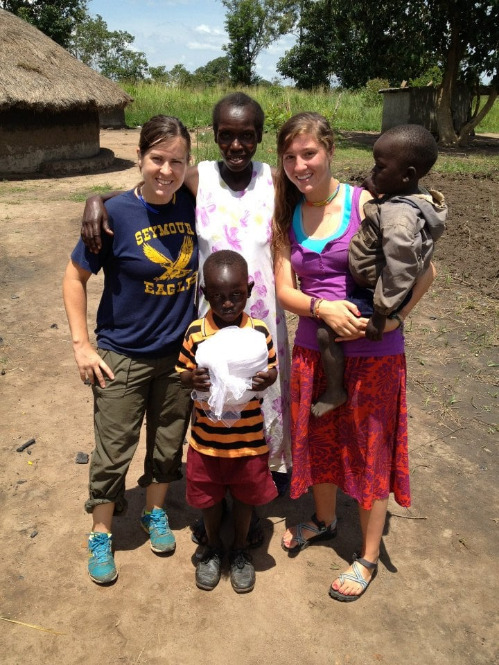 Three months later, Jana was led to Northern Uganda assisting with post-war rehabilitation. She returned a year later with Nicole and our board president, Josh Weiss. Together the three focused on holistic restoration: establishing poultry farms, distributing mosquito nets, building shelters and launching agricultural community gardens. All the while, they were teaching people about Jesus and helping them understand His Word. But even then, the group felt conviction that this wasn’t the path God had planned for Switchboard. While the physical projects were successful, they witnessed that the only thing that made a true and lasting impact was the Gospel. So the next summer, Switchboard returned to the same village and distributed Bibles. They lived in the village for two months, teaching, instructing and helping people understand the Word of God. At the end of that trip, the local church leaders approached the team with a surprising request. They were grateful for the help. They were grateful for the work that had been done. They were grateful for all of the physical assistance they had received. But more than anything – more than another poultry farm or building project – they wanted more of God. They had just been given a Bible – and more than anything they wanted instruction and training in the Word of God. They asked for more of Jesus – so that they could be the ones to lead their churches and encourage their community. So the following summer, in July 2014, Switchboard planned a pastors training conference for the local church leadership. The team spent the month mentoring, discipling and equipping 240 local preachers, teachers and elders in the village. It was then that the purpose of Switchboard became so clearly defined: to come alongside the local leaders, investing in them and equipping them, so that they may go out and do the same. It’s been five years since the launch of Switchboard. Nothing looks like what was planned back then. But in that time God has been gracious to direct our steps and show us exactly where to go. As we start the new year, we’re excited to build on this foundation and add to the Switchboard story.